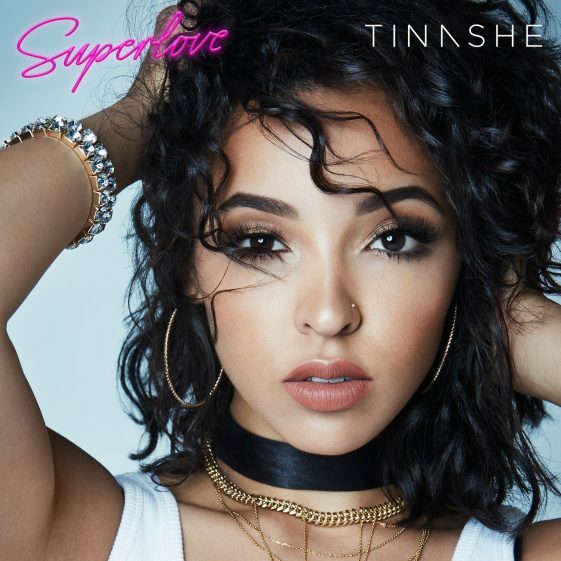 [Los Angeles, CA—July 14, 2016] Singer, songwriter, producer and entertainer Tinashe releases her new single “Superlove” today. The song is the official lead single taken from her heavily anticipated sophomore album Joyride, due for release this fall on RCA Records. “Superlove,” which is produced by Terius “The-Dream” Nash and C. “Tricky” Stewart, is now available at all digital retail and streaming partners. Written over the course of 2015 and 2016, Joyride is the result of an artist coming fully into their own, delivering a body of work that speaks to who Tinashe is as an artist while taking a gigantic creative leap forward. Inspired by her time spent traveling the world over the past few years, Joyride was written and produced by Tinashe, as with all her previous projects. Album production contributions include Terius “The-Dream” Nash, C. Tricky Stewart, Metro Boomin, Boi-1da, Illangelo, Sir Nolan, PartyNextDoor and Joel Compass among others. Joyride is the follow up to Tinashe’s debut studio album, Aquarius, which received a rare wave of unanimous acclaim upon its release in 2014. The Los Angeles Times heralded the album as “one of the more inventive R&B debuts in years,” while the Associated Press said that “”Tinashe delivered an album that moved the needle…her whispery vocals glide over the songs’ beats so nicely you’ll constantly hit repeat.” The New York Times called the body of work “one of the most idiosyncratic major label female R&B albums in years” and “a gesturally significant album.” The album, which made nearly every Best of 2014 year-end list, was anchored by the Platinum-selling single “2 On (Featuring ScHoolboy Q),” 2014’s de-facto R&B Song Of The Summer. A hit in the Billboard charts, “2 On” spent five back-to-back weeks at #1 on the Rhythmic Airplay chart. Aquarius also featured the fan-favorite single “All Hands On Deck,” which set the internet ablaze with it’s instantly classic music video—a clip so engaging even Kanye West gave his rare stamp of approval. Tinashe teased fans with new music throughout 2015, starting with the release of her fourth mixtape Amethyst. In praising the seven song set, Pitchfork exclaimed “it’s not surprising that Tinashe is hard to box into any typical framework—Amethyst marks her fourth consecutive year of dropping something substantial. She’s moving at her own pace, which just so happens to be much faster than everybody else. As she repeats, “The future is mine,” I can’t see much getting in her way.” Tinashe followed the mixtape with buzzy singles “Party Favors” and “Player,” while selling out a four continent world tour. Tinashe kicked off 2016 by giving fans a sneak peak at new material with the first leg of her Joyride World Tour, which sold out in 30 cities this March and April. Along with these teases, anticipation for Tinashe’s sophomore effort is at a fever pitch. Over the course of 2015 and 2016, Tinashe has graced the covers of magazines like Dazed and Confused, V Magazine, Complex, Essential Homme and more. Dazed dubbed Tinashe the artist to fill the void of the “superstar shapeshifting chanteuse,” one a la Janet Jackson or Aaliyah, calling Joyride “a sound that fuses 20th century pop ambition with an eclectic approach that’s unimpeachably modern.” Tinashe was also recently the face of Ralph Lauren’s Denim & Supply 2015-2016 campaign, performed for both Karl Lagerfeld and Alexander Wang’s 10th. anniversary party, and is the face and owner of her own lifestyle brand, Svu Svu. With more details on Joyride soon to be announced, 2016 is shaping up to be Tinashe’s biggest year to date.